ArmInfo. The new government bill on the increase in environmental transport tax is absurd and does not solve environmental problems. 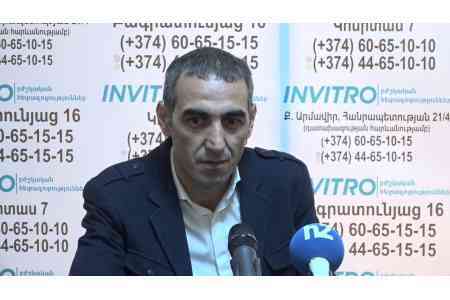 The Head of "Driver's Friend" NGO, a member of the council of the Armenian Motor Insurers' Bureau Tigran Keyan stated this at a press conference. To note, the document provides for a triple increase in the transport environmental tax per one horsepower of engine power for cars of more than 301 horsepower. "The tax from 50 drams will reach 150 drams for each horsepower. However, this does not solve environmental problems, since the engine power does not determine its environmental hazards. In order to determine the environmental damage, it is necessary to undergo an appropriate technical inspection, calculate the amount of harmful emissions into the atmosphere of a vehicle, and only with this in mind, introduce a new tax, " the expert emphasized. He noted that it was necessary to take into account not only the power of the engine, but also how much fuel the car fueled, as well as other technical characteristics. Speaking about the prospects for the importation of electric vehicles into Armenia, Keyan noted that they are very vague, as there are no corresponding filling stations yet.